Hello again! 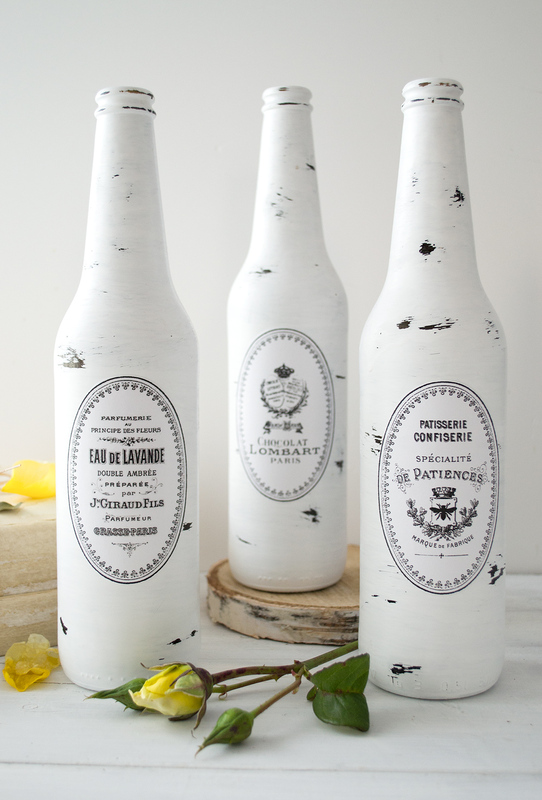 Diana from Dreams Factory here with another chic project – some DIY painted and distressed French bottles with lovely oval labels – that you can make to beautifully decorate your home in any season. You simply cannot go wrong when choosing colors that go well /complement other decorative pieces from your home, in general, so you can keep that in mind when deciding on what color paint to use. 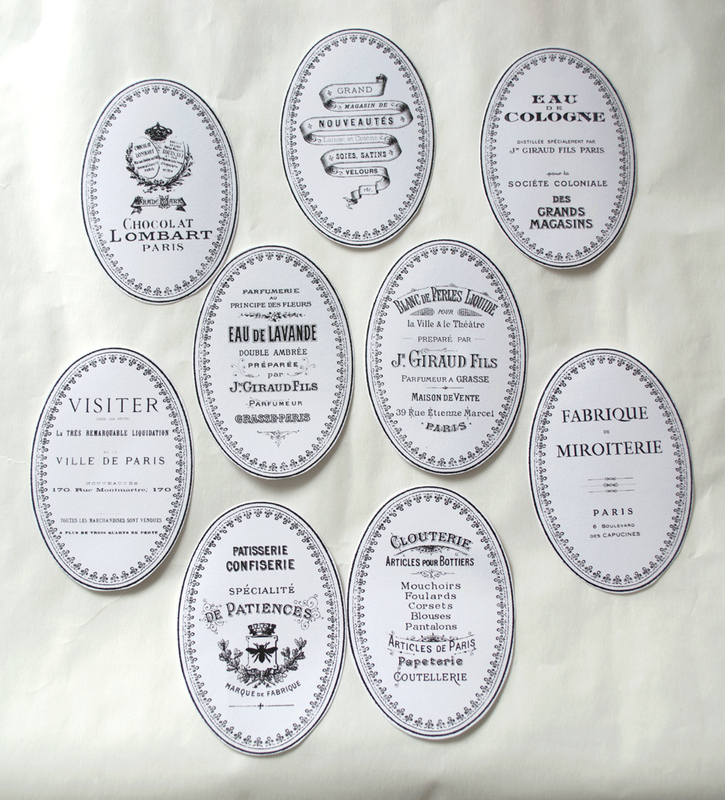 I usually go with white paint because … I’m in love with all things white! And I find it quite easy to adapt to our home. But you can choose any other colors, ones that would match your own tastes and your home. 1. Start by gathering your materials. 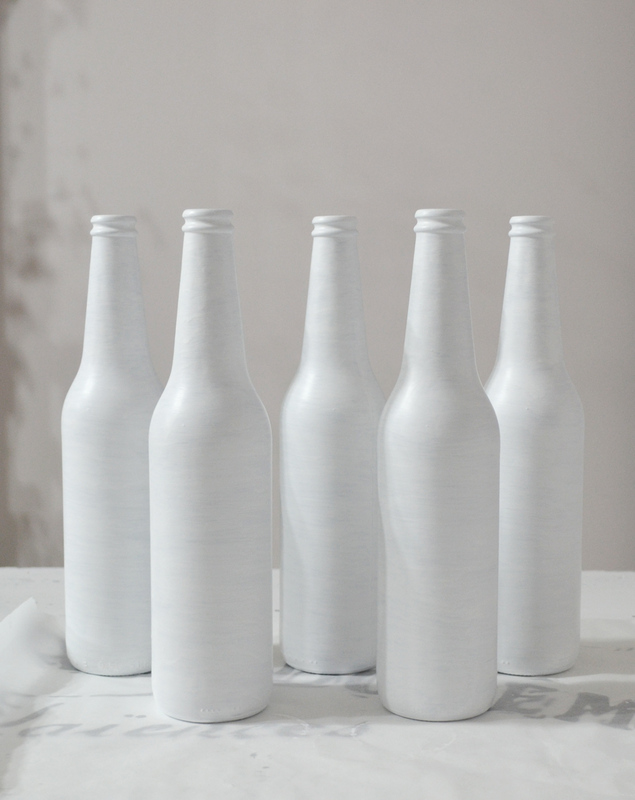 The dark side of the bottles (if I may say so) is really important here, because it will act as our contrasting color when distressing the bottles. 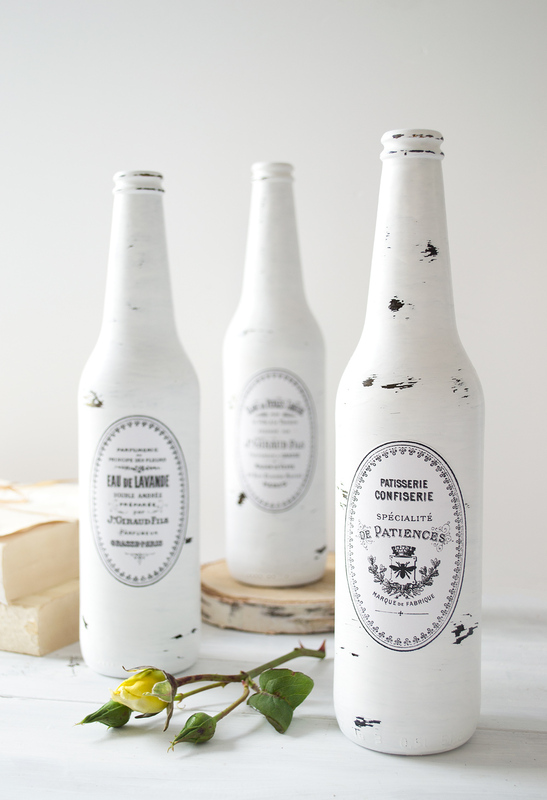 I used old beer bottles and white milk paint for this particular project (but you can also use white acrylic paint or white chalkpaint). 2. Apply one layer of white paint. 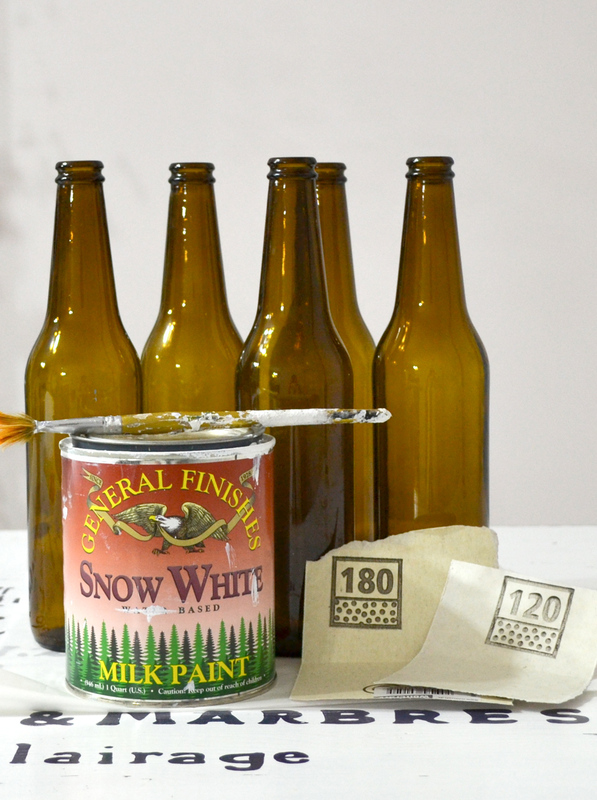 I usually start from the lower exterior part of the bottle when painting one and gradually move my way upwards. I keep the bottle in one hand while painting all around it with the other hand, and I keep rotating it and painting until the lower half of the bottle is painted. Then I put the bottle on my working surface (make sure you protect the surface with plastic bags first) and I keep painting and rotating it on the table, moving upwards, until completely covered. 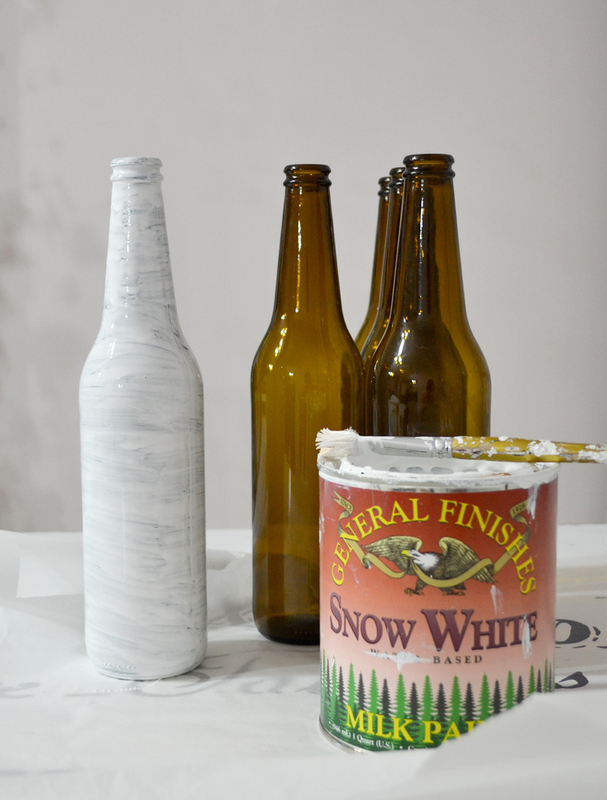 Do the same for all the bottles you have prepared for this project and let the first layer of paint dry completely. 3. 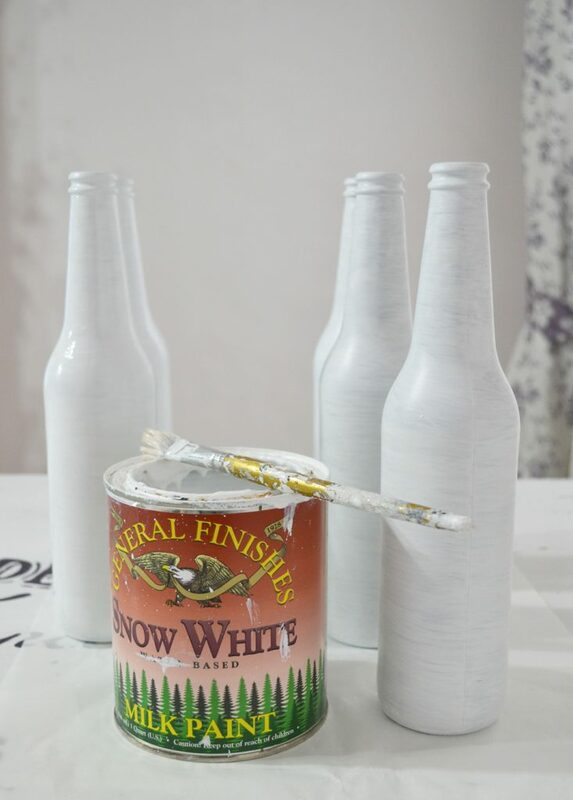 Apply 1 or 2 more layers of white paint (this really depends on what type of paint you are using), but make sure you let every layer of paint dry completely before applying the next one! 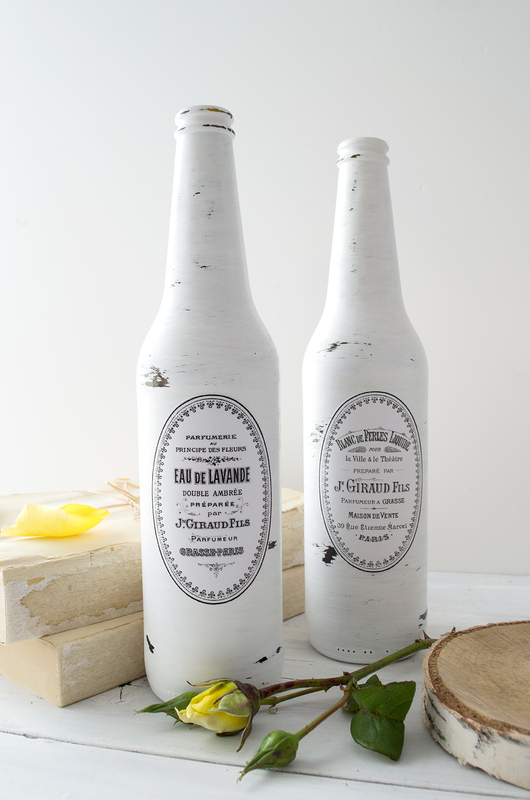 I applied 3 layers of white milk paint to get a smooth and completely covered surface. 4. 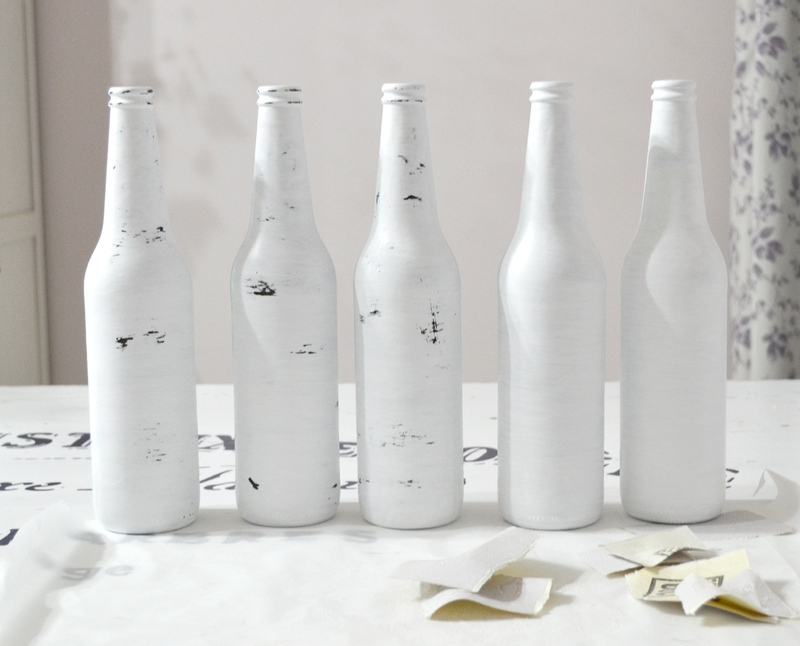 Distress each bottle using a 120 or 180 sand grit paper. As you can see, now the dark side of the bottles comes through! 🙂 But in a good way, because it will act as our contrasting color and will only help us create that chippy distressed old look that we love. 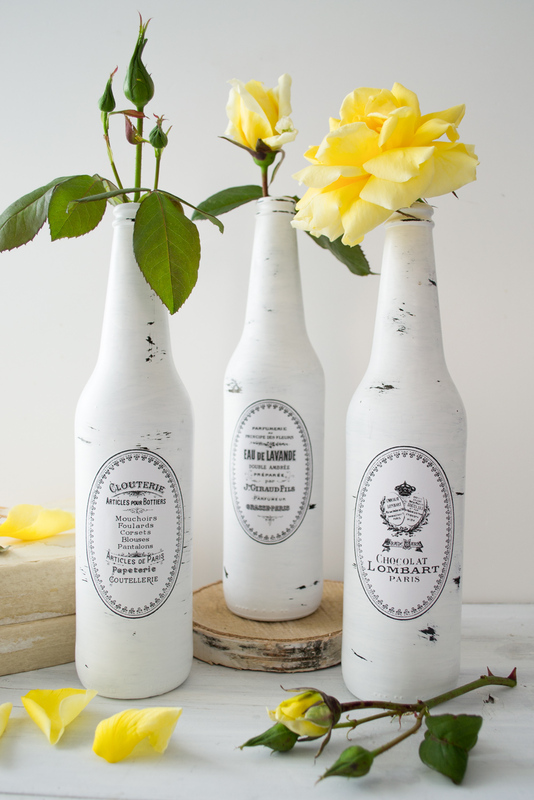 Tips: If you want to try this project but can’t find or don’t have any dark bottles laying around, you can just use clear bottles (or jars) and create your dark layer from underneath by following the steps from my Shabby French painted jars. 5. 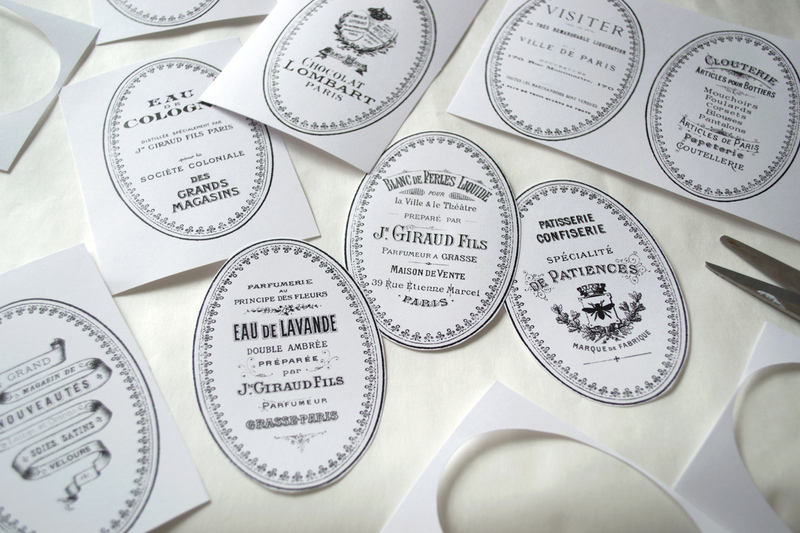 Print your beautiful oval French labels on cardstock paper. 6. 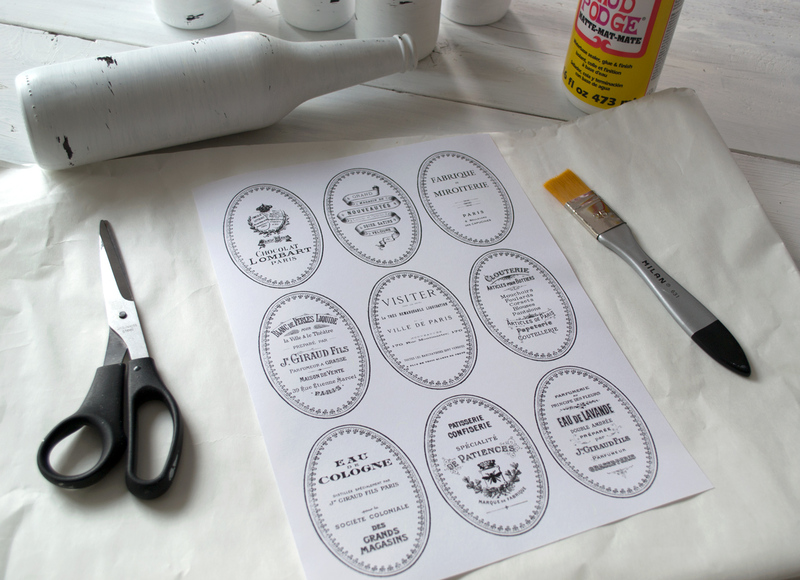 Using your scissors, cut each label outside its classy oval frame. 7. 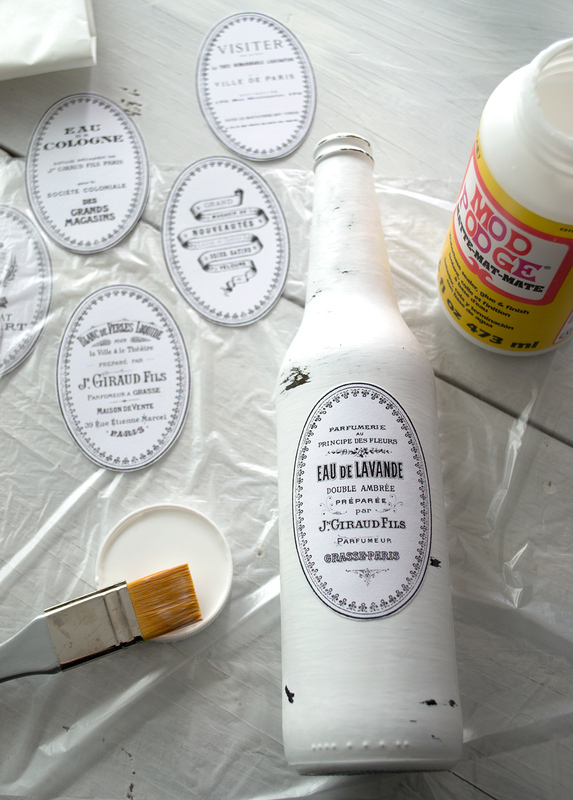 Apply Mod Podge on the back of one label and adhere it to one of the bottles. 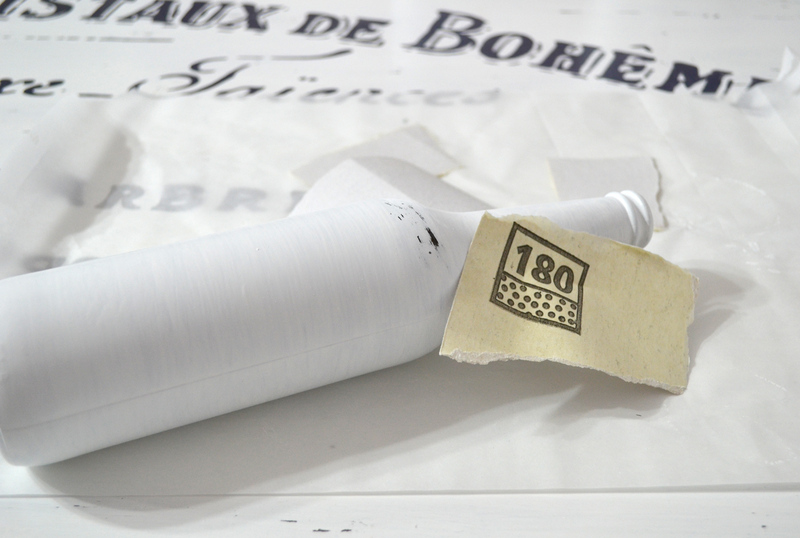 Use your fingers to gently smooth the surface of the label and remove any air bubbles, starting from the middle of the label and moving left – right, then up – down. 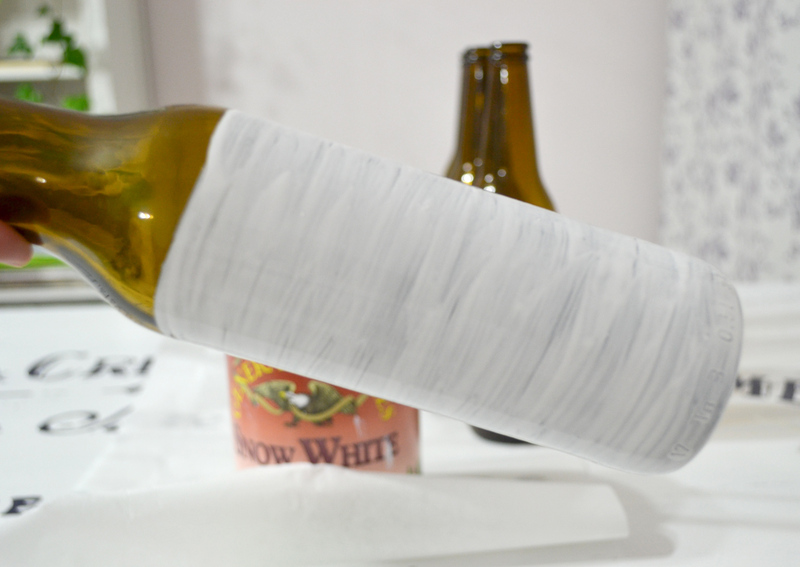 Apply a little bit of pressure with your fingers to make sure the label sticks to the bottle and let it dry. 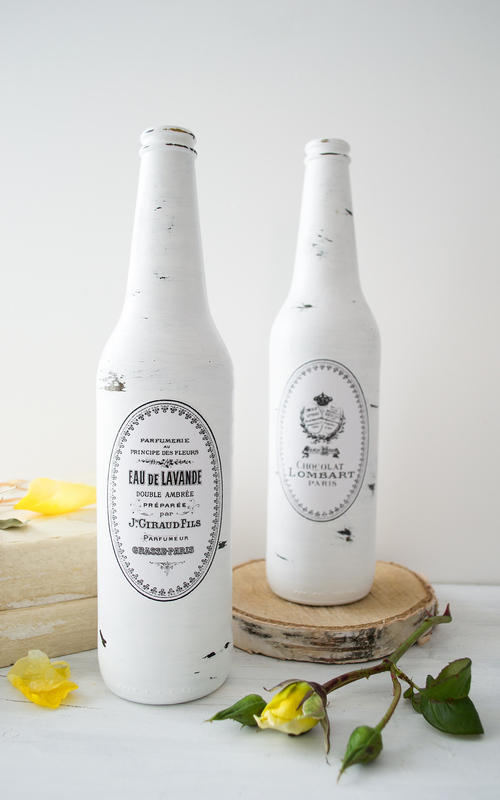 Follow the same procedure for all the DIY painted and distressed French bottles and let the Mod Podge dry completely. 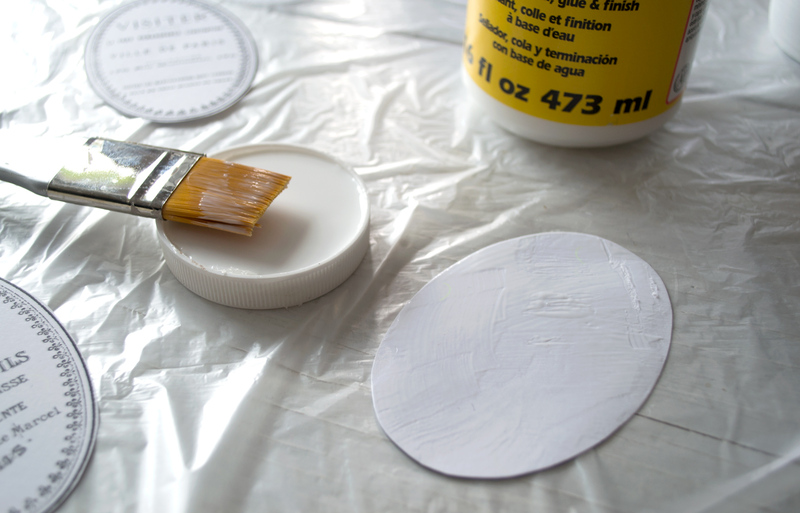 Tips: For all of you who cannot find Mod Podge in your area, white wood glue (the one that turns clear after drying) works great for adhering the labels too. Then sit back and admire your work! 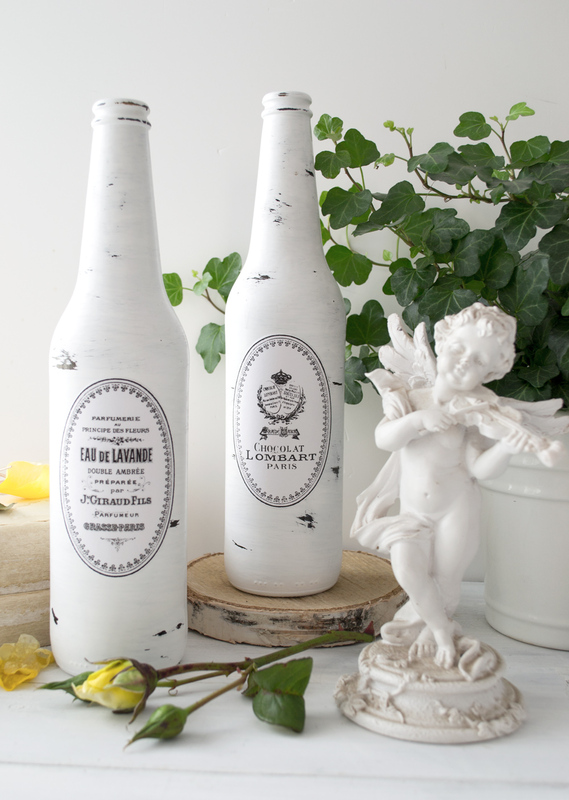 🙂 Your new painted and distressed French bottles are ready! 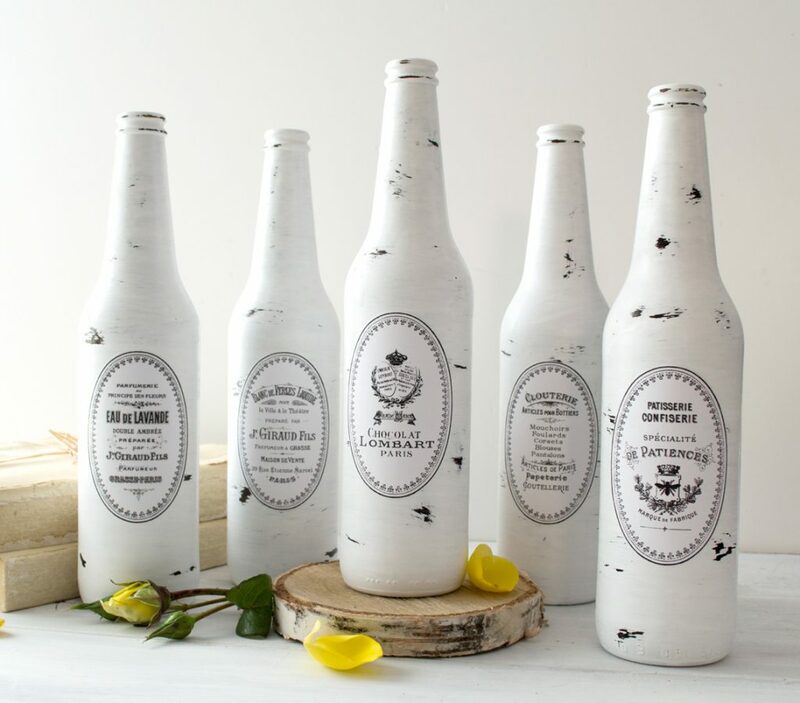 If planning of using the bottles for decorative purposes in your home, like I did, it’s not really necessary to seal the bottles afterwards. You just have to be careful so they don’t get in contact with (too much) water, because water might ruin the paint on the bottles and the cardstock labels. 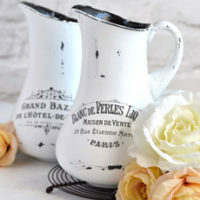 This beautiful Distressed French bottles Project, will add THAT extra chicness to your home when filled with fresh or dried flower or when integrated into lovely vignettes, any time of year. 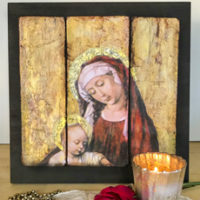 Make some for you and decorate different areas in your home, or make them for your friends, these would make the perfect gifts for the upcoming holidays! 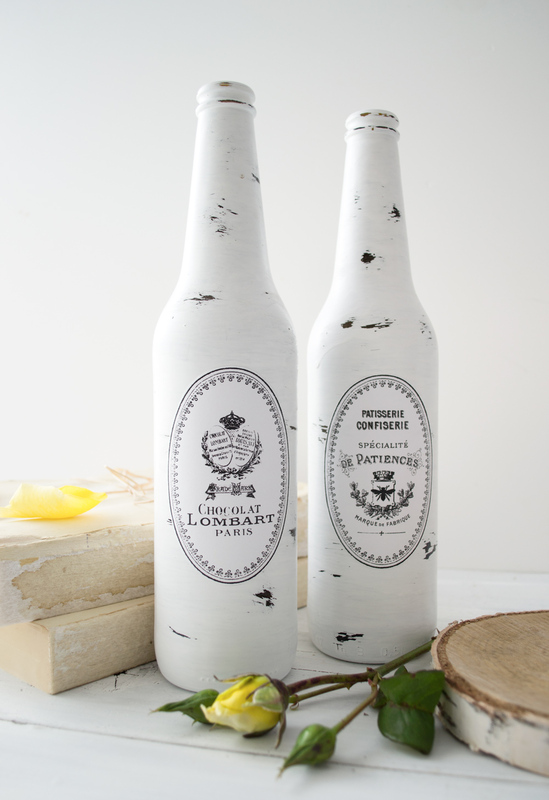 Hope you like this simple, but classy and super chic DIY Distressed French bottles Project! 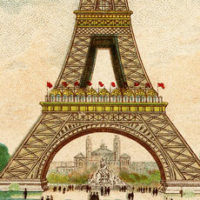 For more similar projects, you can always pay me a visit on Dreams Factory, my blog! « Vintage Little Dutch Girl with Doll Drawing! Thanks for sharing………….will have to do this! Lovely (and easy!) project. 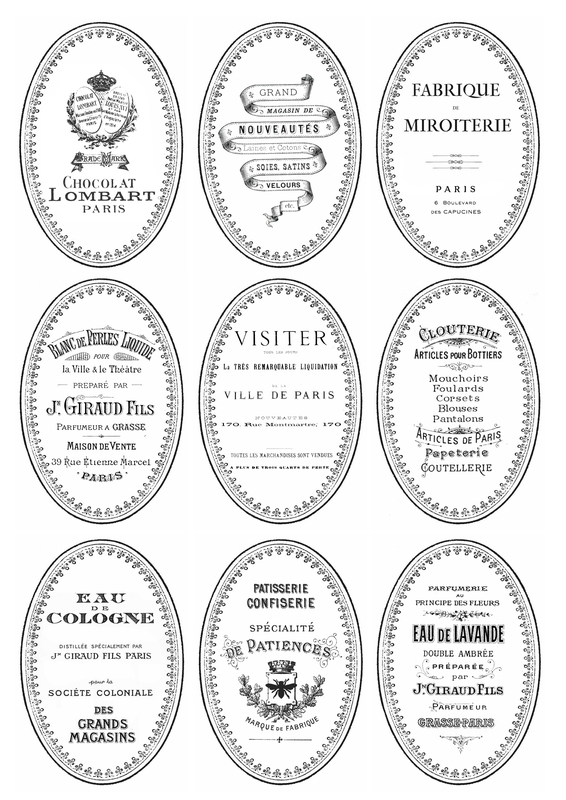 Thank you for the great labels and tutorial. Thanks so much Eileen, Diana always amazes us all with her beautiful projects! I have an All In One Printer but it is an inkjet. Do you think it is necessary to invest in a laserjet printer? Can you tell me what size these bottles were? Were they more of a beer bottle size or a wine bottle. I want to make some of them. I just love them!!!! Thank you for sharing. They are wine sized bottles Sherry, have fun!